MOORE, Oklahoma - Parents who lost their children in the May 20 tornado are having storm shelters installed at their homes, and it's all for free. A church group out of Texas raised more than $50,000 for the Oklahoma families. The pastor at Rockport Church just outside of Austin, Texas, said after the storm he felt like his church needed to do more than just help clean-up. Friday, that pastor and several of his church members came back to Oklahoma, but this time, with a plan to install a storm shelter for up to 40 families. 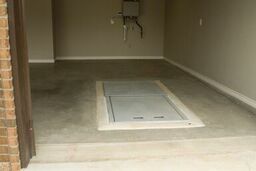 For Danni Legg, the mother of 8-year-old Christopher, the thought of having a storm shelter right in her own backyard gives her some peace of mind. "I can't believe it's been five months," said Legg. "It's like it happened yesterday." May 20 is a day she and six other families who lost children at Plaza Towers Elementary will share forever. Danni lost her youngest son. "Every day is a new day. It's so surreal that this is actually happening, that this is a bad dream that you are waking up from," said Legg. "This is really happening." 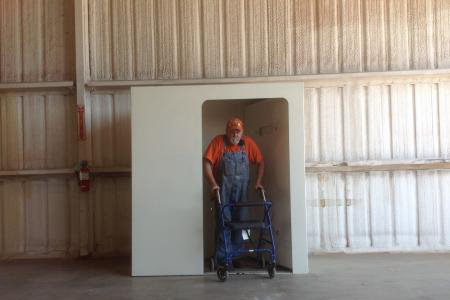 Rockport Church teamed up with Ground Zero Storm Shelters with a vision. "A home just can be gone pretty quickly, and so, that's when we said, maybe it's better that we look at how can we save people's lives," said Pastor Shayne O'Brien. O'Brien contacted Danni about a month ago asking what he could do to help. "We're putting those in for those who lost children, and then we're also working with the families who are fostering children," said O'Brien. "It's amazing that they've gone to this extent to make my kids feel safe. We don't have to run. We don't have to get in our cars and just get out of town. We can actually just go in our backyard, and we're good," Legg said. Rockport Church brought their own excavators to dig the actual hole for the shelter. 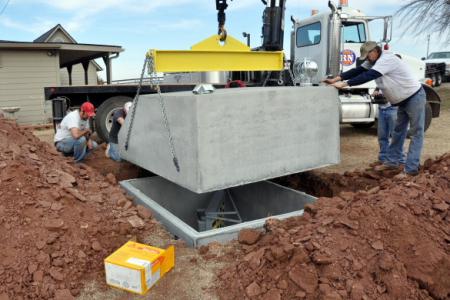 Ground Zero Shelters donates the shelter and helps with the installation.